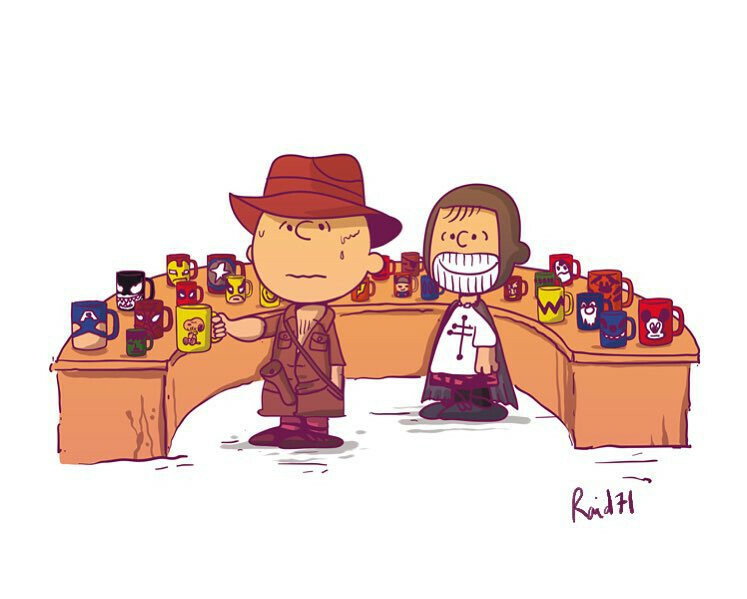 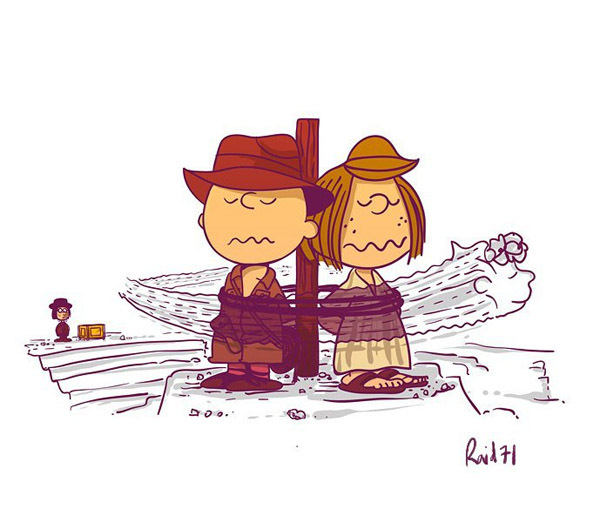 Indiana Jones meets Charlie Brown and the gang in the Peanuts Indiana Jones Art Print Set. 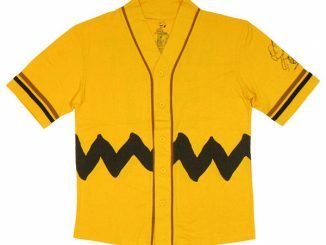 Sadly, Snoopy only has a very minor role to play but there’s plenty of that big round-headed kid. 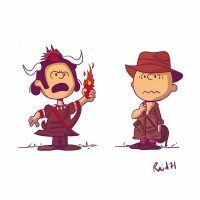 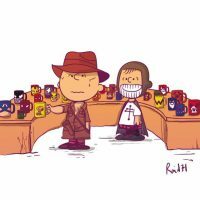 The artist known as Raid 71 has created three fun prints featuring characters from the Peanuts gang in scenes from Raiders of the Lost Ark, Indiana Jones and the Temple of Doom, and Indiana Jones and the Last Crusade. 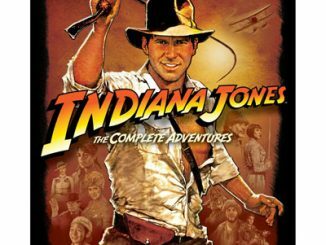 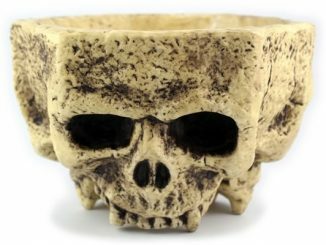 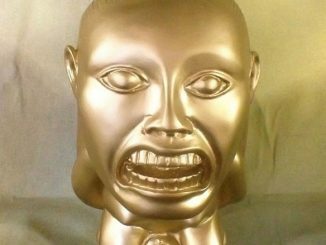 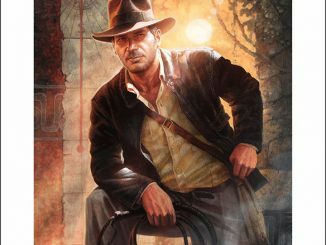 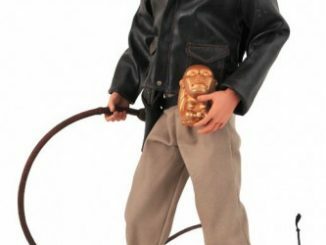 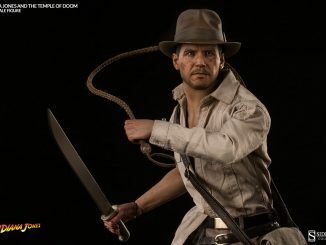 Thankfully, there’s no Kingdom of the Crystal Skull because the idea of Shia LaBeouf being Indy’s kid needs to stay buried so deep that no archaeologist could uncover it. 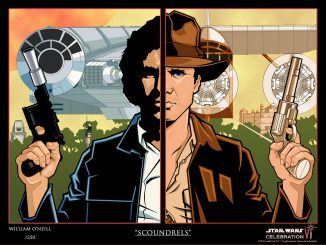 Each Giclee print measures 8″ x 10″ and the set is limited to just 75 pieces. 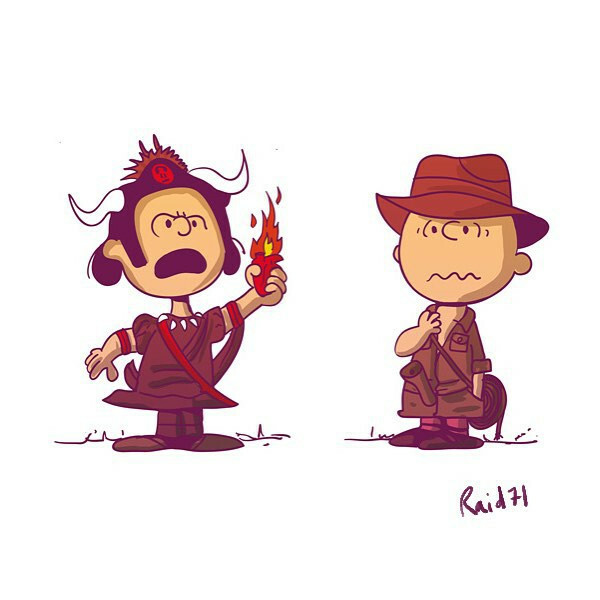 The Peanuts Indiana Jones Art Print Set is available for $45 at Bottleneck Gallery.